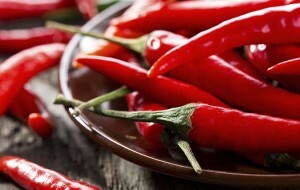 SPICY FOODS: Calm Your Tongue with These! If you like to add extra jalapeños to your hot dog, habanero peppers to your tacos, and some Sriracha to just about everything you eat, you’ve most likely felt like your mouth was on fire. These intense burning sensations can last from minutes to hours, leaving you with no choice but to gulp pitchers of water — only for them to return with a vengeance. Spicy foods get their steamy, red hot intensity from capsaicin and can only be neutralized with certain things. To stop feeling the burn, don’t drink water, but instead opt for these five remedies to cool off your tongue from the spicy foods we love to hate and hate to love. When it comes to relief from spicy foods, dairy, especially plain-old milk, does your hot mouth some good. This popular antidote dates back to about 8,000 years ago when Central and South Americans began to add hot chilis to their food, leaving people searching for ways to cool a burning tongue. Casein, the protein in milk, according to the American Chemical Society, helps break the bonds capsaicin forms on nerve receptors. This may help explain why cultures that use a lot of spices in their food usually include dairy in their recipes to offset the effects of capsaicin, such as in Indian and Mexican cuisine. Now, beer and cocktail lovers, before you start to order your drink of choice with your side of spice, alcohol can only temporarily help alleviate the burn. MythBusters, a television show on the Discovery Channel, put viewer-recommended cures to the test and sought to examine if alcohol could tame the effects of spicy food in the mouth. They found a few gulps of beer offer brief relief because oil and water don’t mix, and can spread the oily capsaicin rather than reduce its effect entirely. “Truth is, you might have to drink 10 ounces of 70-proof tequila to dissolve 1 ounce of concentrated capsaicin compound,” according to MythBusters. Remember to drink responsibly. Those with a sweet and spicy tooth can rejoice at the fact that sugar can actually help neutralize the heat from a spicy dish. The heat in chili peppers is based on the amount of sugar needed to neutralize the heat, says IndiaCurry.com, and this is known as the Scoville Heat Unit. Granulated sugar and honey will reduce the heat. The sugar absorbs the spicy oil and will provide a different taste. Need another reason to eat more chocolate? A chocolate bar may come in handy when it comes to reducing that burning, tingling sensation in your mouth. The high fat content in chocolate will help remove some of the capsaicin from the mouth since it is more soluble in fat than water-based solutions. Milk chocolate will provide more benefit than dark chocolate because it has a higher fat and casein content, according to the United States Department of Agriculture, therefore, providing better relief. At the dinner table, a basket of bread is usually within one’s reach. A slice of bread can provide relief to your burning mouth by soaking up the oily capsaicin that is making your mouth burn. Rice can also provide the same effect as bread, but it may soak up less oil due to its grain texture. 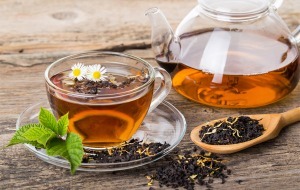 Next time you’re thinking of adding some spice to your palate, be sure to have some of these best hot mouth remedies by your side, to feel the burn and cool it off instantly.